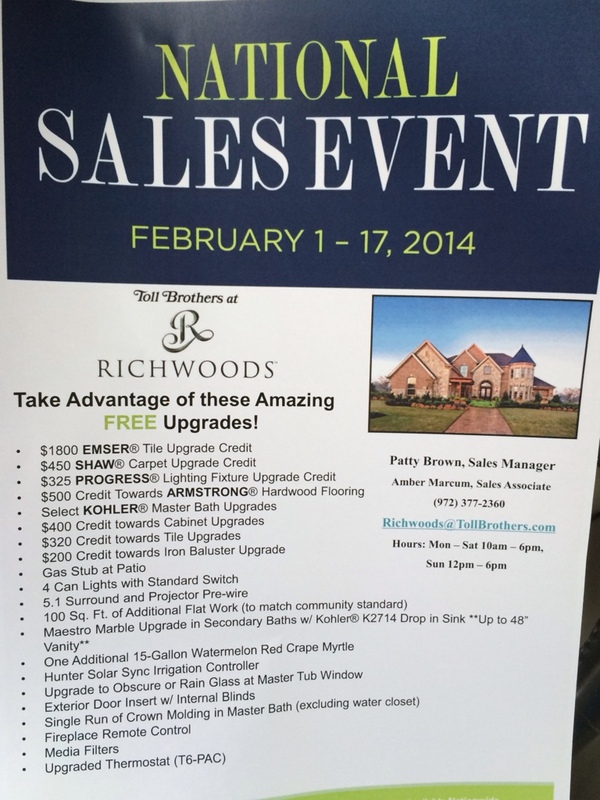 Toll Brothers National Sales Event is extended only through This Weekend! 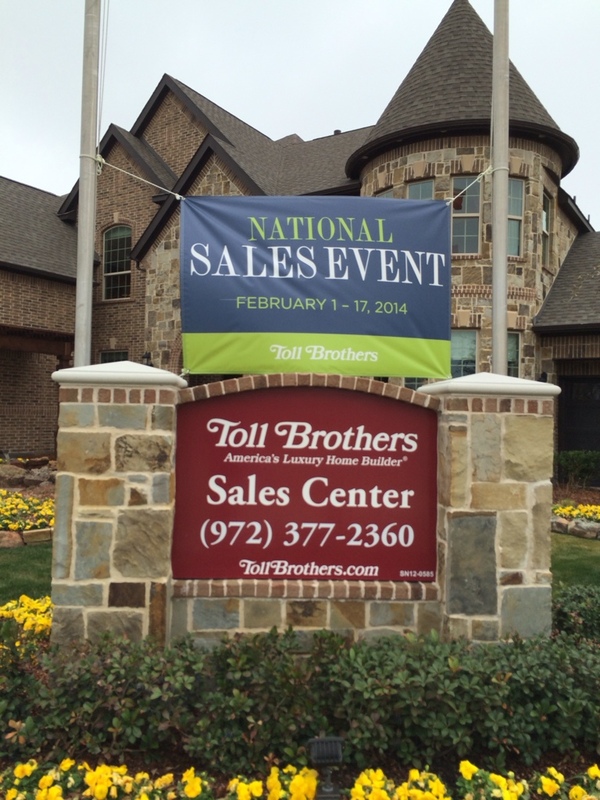 The Toll Brothers National Sales Event has been extended through this weekend! So if you are seriously considering Toll Brothers it only makes since to lock in the additional goodies they are offering free this weekend. See below. Also, Toll Brothers in Richwoods Heights hopes to have a couple NEW lots to offer this weekend, but it’s still up in the air. 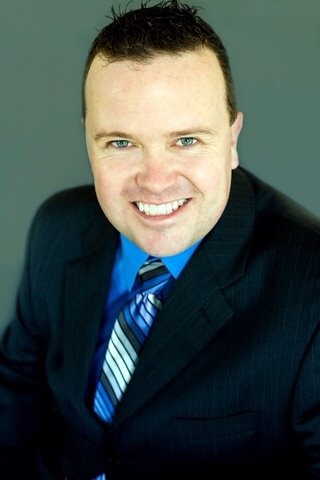 Text or Call me today if you would like for me to let you know if lots will be released at (469)733-2723.